Emergency vehicles are seen at a farm on Crooks Tract Road in Woolwich Township on Thursday, April 13, 2017. Stg. 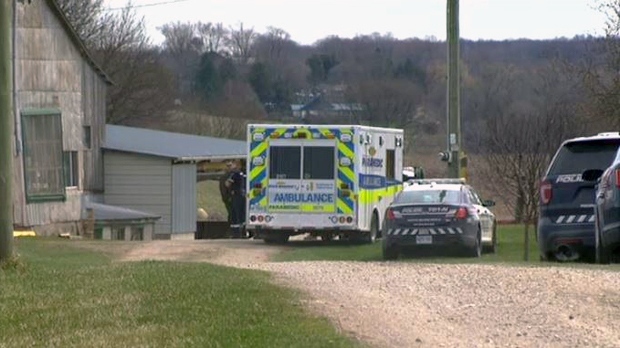 John Nymann of the Waterloo regional police traffic services branch said the family and officers at the scene are wracked with grief.